VENETO, Italy – There’s a church on every block in northeastern Italy. At least, there are church buildings on every block. Most of them now stand empty or have been converted into museums, pizza joints or banks. Kevin Finch, a member of First Baptist Church, De Soto, said he noticed these relics from Italy’s Christian past during two mission trips he took with the church during the past six months. He also noticed Italy’s spiritual darkness. Despite the nation’s history, very few people have heard the message of God’s love and grace in Jesus Christ. For this reason, FBC De Soto and some other Missouri Baptist Churches are eager to multiply churches, make disciples and develop leaders in the Veneto region of northeastern Italy, sandwiched between the Alps on its north and the Adriatic Sea to the southeast and containing cities such as Verona, Padua and Venice. FBC De Soto, as well as Missouri’s Verona Baptist Church, Freshwater Church of Bolivar and Emmaus Church of Kansas City, are among Missouri Baptist Churches pursuing partnerships in Italy to dispel the spiritual darkness in this ancient country. And MBC Multiplying Churches Catalyst Rick Hedger hopes that God will call out more Missouri Baptist congregations to build partnerships in Italy. “Northeast Italy consists of three regions containing fifteen provinces,” Hedger said. “Our missionaries have told me that the population in these three regions is 0.045 percent evangelical,” Hedger added, explaining the area’s need for a gospel witness. This means that only four-and-a-half people out of every 10,000 are evangelical believers. “It is an exciting time for God to invite MBC churches to cooperate together on the front lines in northeast Italy to see lives and communities transformed by the gospel,” he said. Finch, who took his first trip to Italy last November, said the churches in Italy were excited to meet them and spend time studying Scripture together and sharing with one another. The few evangelical churches in Italy desire to reach their friends and neighbors with the gospel. In fact, Brazilian missionaries in the area set before them a vision to plant a total of 20 churches in the region. They’ve planted 6 and are laboring to start 14 more. “It’s a desperate situation, and it’s going to require multiple churches from Missouri getting involved,” Pastor Jeremy Muniz of FBC De Soto said. 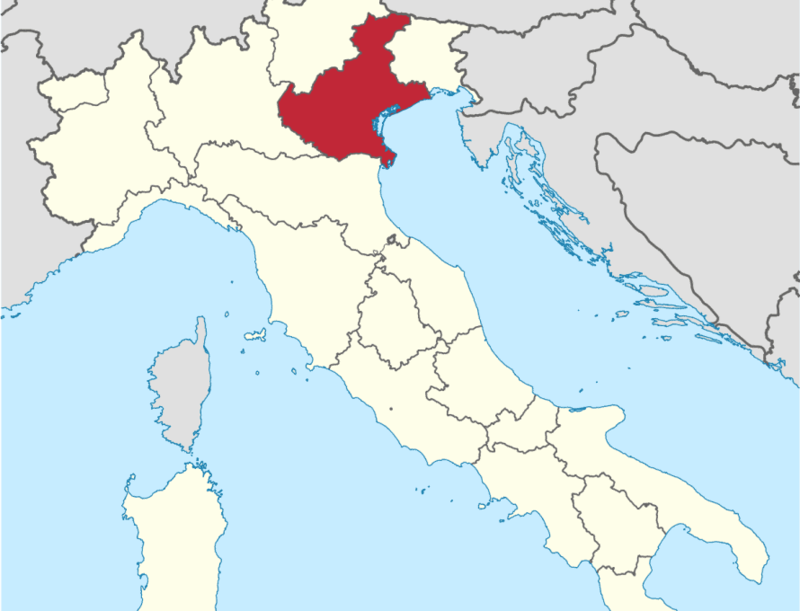 Existing churches in Veneto, Italy, especially need help developing leaders to equip these churches for ministry. But this isn’t the case in northeastern Italy, Muniz said. Finch and Sander noted that, in one area, three ministers were juggling the responsibilities of pastoring 6 different churches. Indeed, traveling to Italy not only showed Muniz the need for developing leaders in that region, but also for developing the next generation of disciple-makers and leaders at home. “We talk about how we want the church to be strong when we leave this earth, how we want to make a difference,” Muniz said. “If we really mean that, then I think that means we need to be discipling our leaders. This has really shown me how important it is for the leaders of today to develop the leaders of tomorrow. “Italy has shown me,” Muniz added, “the future of our country, if we don’t take seriously the call to make disciples”—a future where people see empty church buildings on every block.